This18 carat golden pendant is made in filigree; an ancient lace-like metal technique that can be traced back more than 5,000 years. 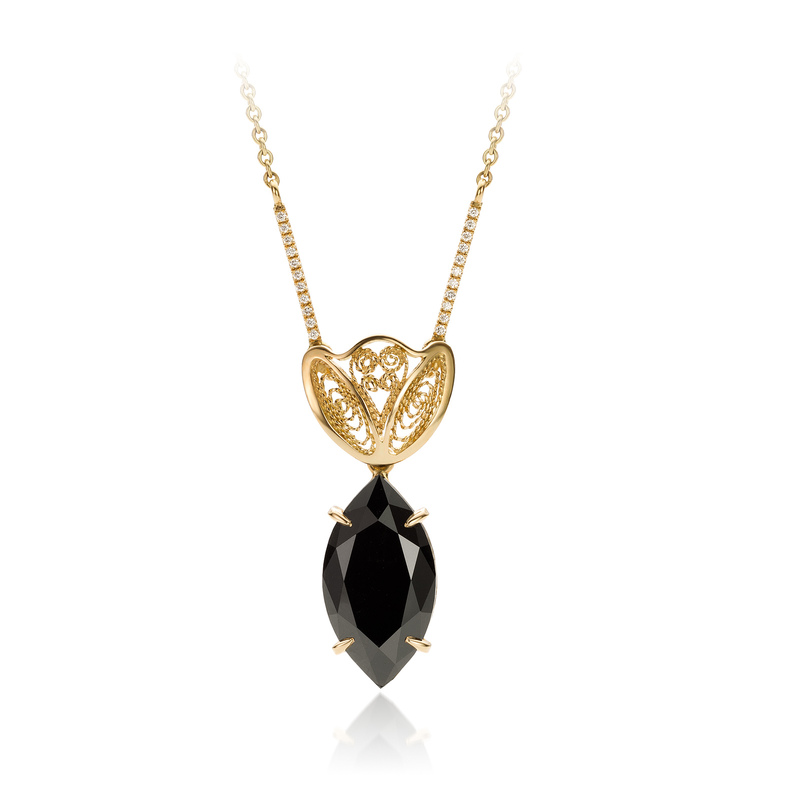 The pendant contains a beautiful marquise cut black diamond of 7.03 ct. and two ornaments with diamonds set in micropavé (F/VVS 0.05 ct.). 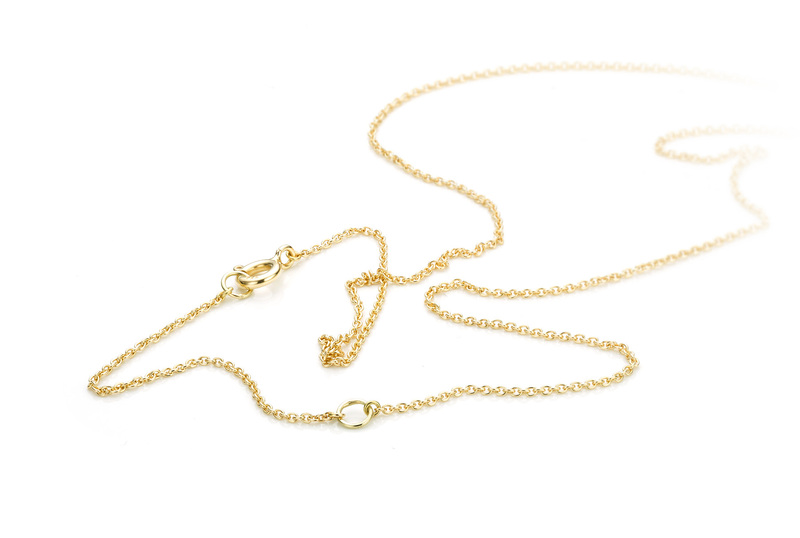 The necklace can be worn in two different lenghts.